Arrival in Vilnius, transfer to Hotel Novotel Vilnius**** or the Clinic, if it is agreed that you will stay in the clinic during the stay. Check-in. Welcome meeting. After breakfast you will be brought to the clinic (if you are staying at the hotel) of your choice and have the first treatment, procedure or operation. Our guide will be with you throughout the entire day. Depending on the stay at the clinic you will have either lunch at the hotel or at the clinic. Dinner is served in the lovely nature surroundings at Belmontas or if your physical health, after the day at the clinic, doesn't allow for it, in the privacy of your hotel room or in your private room at the clinic. The evening is yours! Breakfast. One more day at the clinic of your choice. 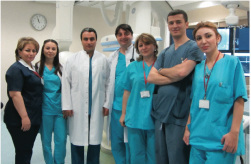 Continue the treatment, procedure or operation from the day before. Our guide will be with you throughout the entire day. If you don't have any appointments at the clinic today - you can either recover in your room or if you feel like it - in the morning have a complimentary Sightseeing tour of Vilnius Old Town. 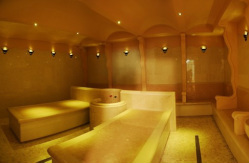 Depending on the stay at the clinic you will have either lunch at the hotel or at the clinic. If you don't have any appointments in the afternoon - we can offer you an optional visit to some fine SPA centers in Vilnius. Time for pampering! For dinner the German restaurant BuGa is welcoming you in their prime Old Town location. A restaurant serving the best Schnitzels you have ever tried! 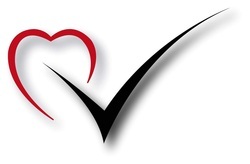 If your physical health, after the day at the clinic, doesn't allow for it, dinner will be served in the privacy of your hotel room or in your private room at the clinic. Have a good evening! 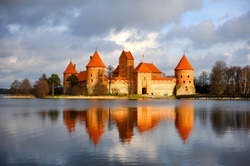 After breakfast and Check-out, we will have a Sightseeing tour to Trakai and visit the castle in the middle of the lake. 2 course Lunch in Trakai at Apvalaus Stalo Klubas (Round Table Club). After lunch Transfer to airport.